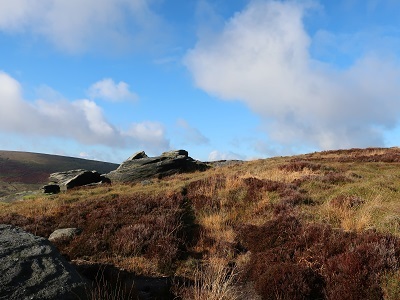 All in all this is a pretty wild walk in the border country of the South Pennines. 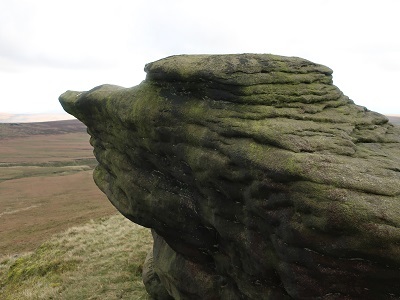 It is a landscape of sweeping moors littered with outcrops of millstone grit eroded into weird forms by the action of wind, water and ice. Grade: A walk in two halves. 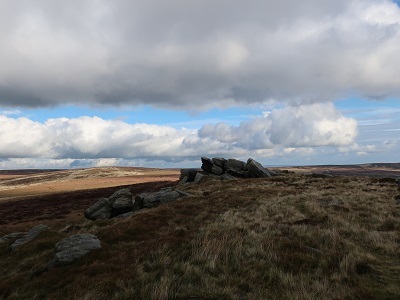 The first half is a demanding moorland walk. As for footpaths think of Mr Spock! ("It is a footpath Jim, but not as we know it!") Suffice to state where they exist they are not always clear. 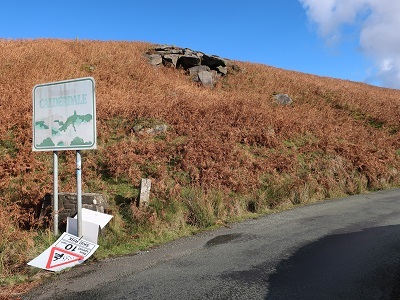 The second half especially after the descent from Lad Law is as easy as pie! 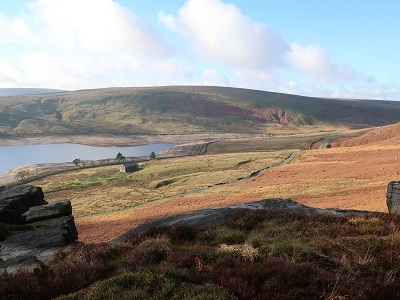 Map: OS OL 21 South Pennines. 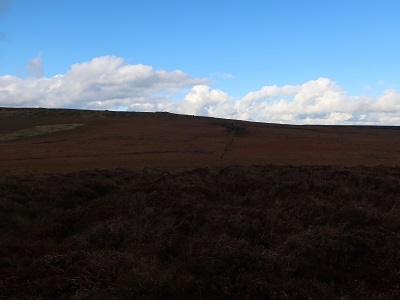 towards a prominent high point on the skyline. 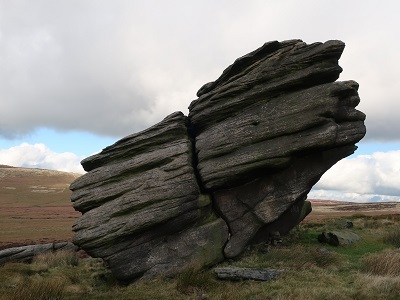 (Grey Stone Hill) On the way you will encounter a number of rock outcrops. 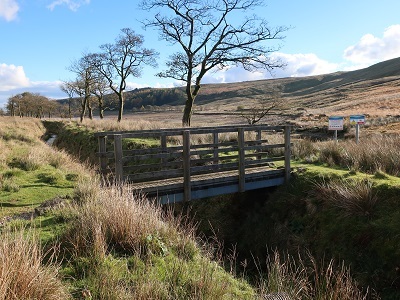 Grey Stone Hill is a fine view point especially looking westwards towards the Thursden valley and Pendle Hill. 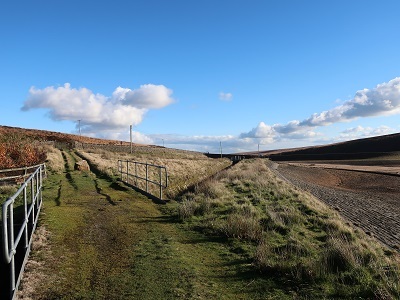 The route now turns north westwards (right) to a large outcrop called Dove Stones a little under a mile away. It is a tough mile for there isn't much in the way of a path. 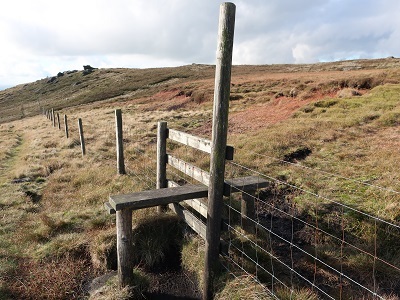 This where those of you who use poles have an advantage as underfoot the ground can give way to concealed drops of the knee twisting variety as this writer can attest! This outcrop shows evidence of pre-historic human activity. 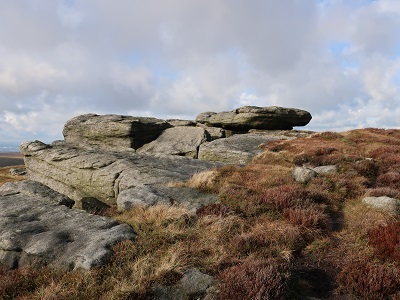 The largest rock, a little way to the left of the main group, is Dove Stone. It looks nothing like a Dove. 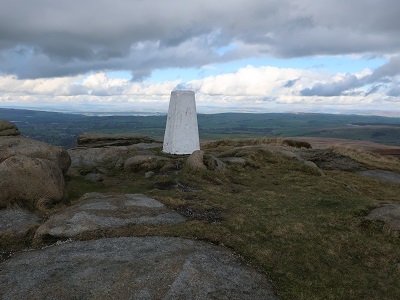 a little below the highest point - Lad Law (517m 1686ft) and its trig point. 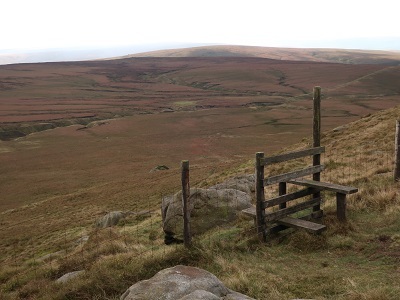 (the eponymous Lad Law Stones), and cross a stile. 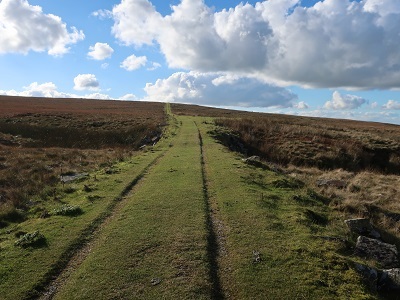 The footpath (one of the clearer ones) leads down the flank of the hill, and after crossing a stream reaches a flat, grass covered area evidently a gathering area at the end of a shooters track. 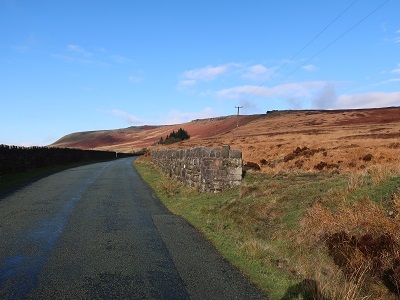 From here a Landrover track leads south-westwards out to the Widdop Road, a mile away. 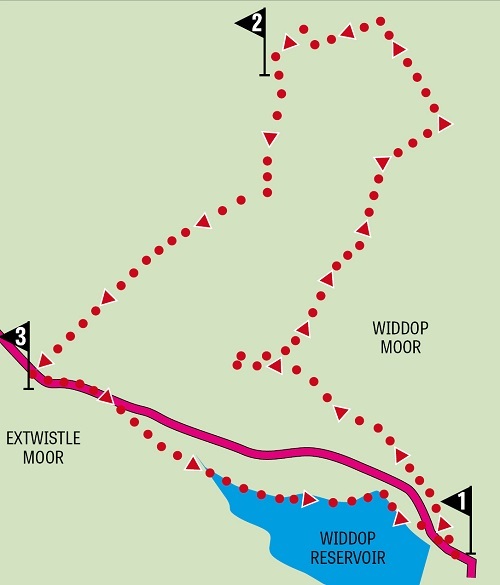 After all the exertion over the moors you'll appreciate this track and you'll make good progress along it. 3. When you reach the road turn left. across a channel. 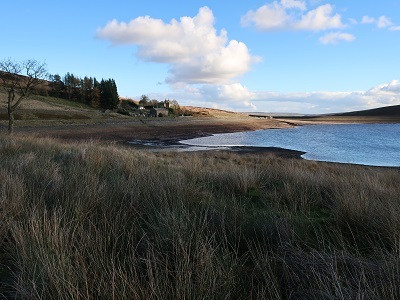 With the reservoir on your right follow its shores to Widdop Lodge. Just after the lodge follow a drive on the left back to the road. 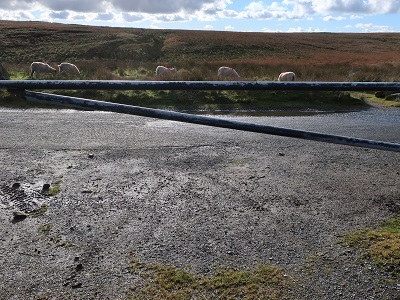 Turn right for the car park.